We use to tools, such as, but not limited to Google Analytics, Google Webmaster, Bing Webmaster, Quantcast, Facebook, etc to collect information on the usage of our website. The primary purpose for collecting data on website usage is to identify ways to improve our website and to create a more personal experience. By providing us with any contact information on our website (e.g. contact forms, signup/registration forms, etc.) you are agreeing to be contacted by us. The email address you provide may be used to send requested information, newsletters, blog updates and/or special offers from McBeath Financial Group. Contact information will not be shared with third parties and we adhere to a strict no spam policy. If at any time you would like to unsubscribe from receiving future emails, we include detailed unsubscribe instructions at the bottom of each email. Investment advisory services offered through McBeath Financial Group, an Illinois Registered Investment Advisor. Insurance products and services are offered through McBeath Tax and Financial Services, LLC. McBeath Financial Group and McBeath Tax and Financial Services, LLC. are affiliated companies. All written and video content on this site is for information purposes only. Opinions expressed herein are solely those of McBeath Financial Group and our editorial staff. Material presented is believed to be from reliable sources; however, we make no representations as to its accuracy or completeness. All information and ideas should be discussed in detail with your individual financial professional prior to implementation. The presence of this web site shall in no way be construed or interpreted as a solicitation to sell or offer to sell investment advisory services to any residents of any State other than the State of Illinois or where otherwise legally permitted. 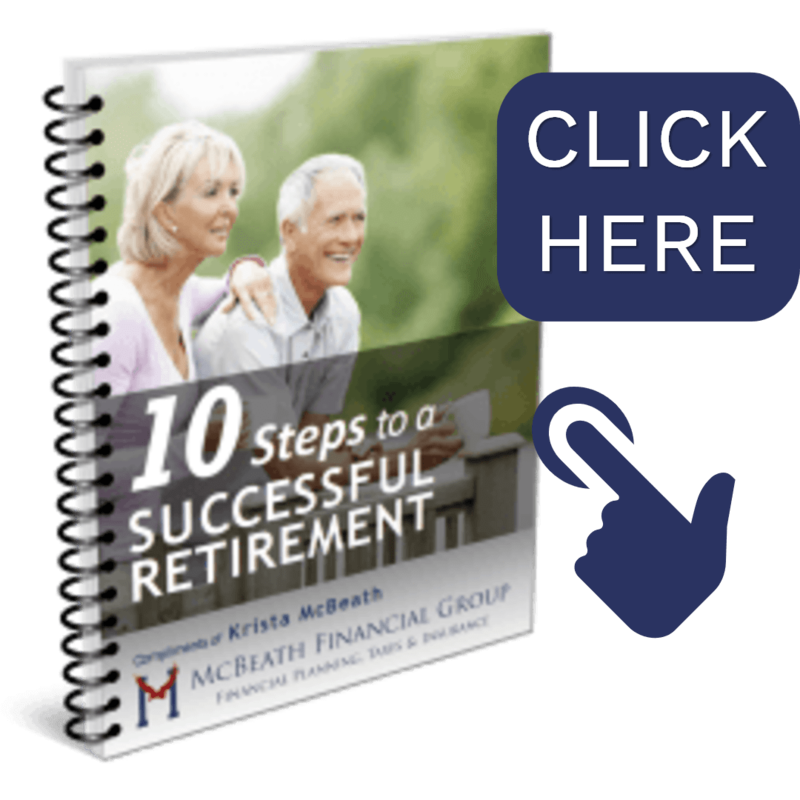 This website is a publication of McBeath Financial Group. The firm is registered as an investment advisor and only conducts business in states where it is properly registered or is excluded from registration requirements. Registration is not an endorsement of the firm by securities regulators and does not mean the advisor has achieved a specific level of skill or ability. The firm is not engaged in the practice of law or accounting. Information presented is believed to be current and should not be viewed as personalized investment advice. All expressions of opinion reflect the judgment of the author on the date of publication and may change in response to market conditions. You should consult with a professional advisor before implementing any strategies discussed. Tax and legal information provided is general in nature. Always consult an attorney or tax professional regarding your specific legal or tax situation. Social Security rules and regulations are subject to change at any time. You should always consult with your local Social Security office before acting upon any information provided herein.